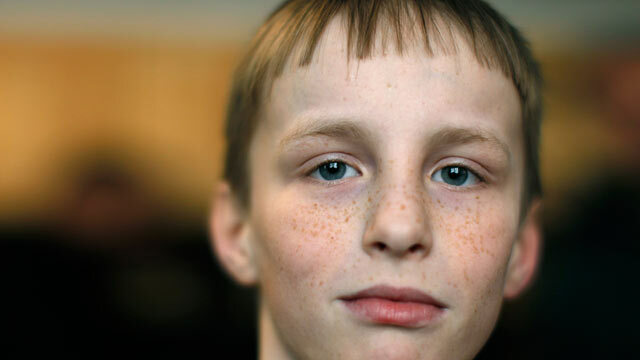 Adopted boy struggles with mom's rejection, Adopted Russian Boy Rejected by U.S. Mother Adjusts in Foster Care, Artyom Saleviev remains traumatized after being sent back to Russia by his American mother. Artyom Saleviev's mischievous grin quickly fades when asked about the five months he spent in the United States. "I do not want to talk about this," he said quietly, as he looked down at the floor. Asked if he would ever go back he said nothing and emphatically shook his head no. In 2010 Artyom made headlines around the world after his American adoptive mother Torry Hansen put the then seven-year-old boy back on a plane to Russia alone with a letter that said she didn't want him anymore. Artyom's new foster mother still cannot believe what happened to him. "It's inhumane," Vera Egorova told ABC News in an interview in the home where she cares for him and several other children. Artyom is her 17th foster child. "He should have been accompanied by adults and not just sent like a package by plane with his documents. It's bad. As a woman and a mother I could have never done this," she said. The case sparked outrage in Russia and the government froze adoptions to the United States while it sought assurances that Russian children would be properly cared for by their adoptive parents. An accord was finally reached last year and the Russian parliament may soon ratify it in the coming weeks. In the meantime the world has seen very little of Artyom since he was the scared little boy being whisked away by authorities. Russian officials say he spent time in a hospital and in various institutions before finally ending up here, at an orphan colony in the suburbs of Moscow. Now nearly ten years-old - his birthday is on Monday - Artyom remembers only a few words of English. "My name is Artyom," he said sheepishly without looking up from his Legos. He's perhaps small for his age, slim, and soft spoken. Like many boys his age, he enjoys watching television, playing with his toys, and horsing around with friends. He also seems to like showing off to the camera. When ABC News filmed him playing on the playground he immediately climbed to the top of the jungle gym and jumped off into a pile of snow, but not before glancing over to make sure the camera was rolling. Ms. Egorova says he has taken to calling her "mama." She says he's struggling at school and is prone to acting up in class, but she attributes that to the trauma he experienced and the class time he has lost as a result. Egorova says she has seen none of the "psychopathic" issues that Torry Hansen wrote about in her letter which caused her to reject Artyom. She says many foster children are traumatized by what they have experienced and Artyom is no different. "We did a lot of tests and visited several specialists and they say there are no disorders," she said. A U.S. court last month ordered Torry Hansen to pay child support for Artyom's care. A hearing has been set for May 17 to determine how much she will pay, which will depend on her income level and how much it costs to take care of the boy in Russia. A lawyer representing Artyom visited Russia this week to meet him and to determine how much money to request, as well as to ensure that it will reach him. Ray Stoner, an attorney for the National Council for Adoptions, says he's confident the judge will give them what they are looking for. He hopes no other child will ever share Artyom's experience. "What we're trying to assure is that something like this never happens again. And that there's a consequence to what Ms. Hansom did. And that send an important message on behalf of all parents," he told ABC News. "This is an issue that transcends America, or Russia, this is just the way that children should be treated in any civilized society," Stoner said. In the meantime, the top Russian official for adoptions, Children's Ombudsman Pavel Astakhov, said he expected no further delays for American families hoping to adopt a Russian child. "There are (sic) not any artificial obstacles for this process," he told ABC News. Ms. Hansen was unable to be found for comment, despite efforts to locate her.